Leading commercial law firm, Thrings has enhanced its construction law offering with the appointment of Michael Chilton as partner. Michael joins Thrings from EMW Law LLP, where he was a partner and head of construction. Prior to this, he held positions at Nabarro, Trowers & Hamlins and Linklaters. During his 20-year legal career, Michael has advised on a range of construction projects, including city office developments, mixed-use and retail schemes, infrastructure projects, housing schemes, student accommodation, out-of-town retail parks, railways, power projects and football stadia. His main area of expertise is in ‘non-contentious construction law,’ while he also advises on disputes and dispute avoidance. In his new role, Michael will advise clients on “all aspects” relating to construction contracts, including procurement routes, building contracts, consultant appointments, bonds, warranties and guarantees. He will also advise on the construction aspects of property development documentation. 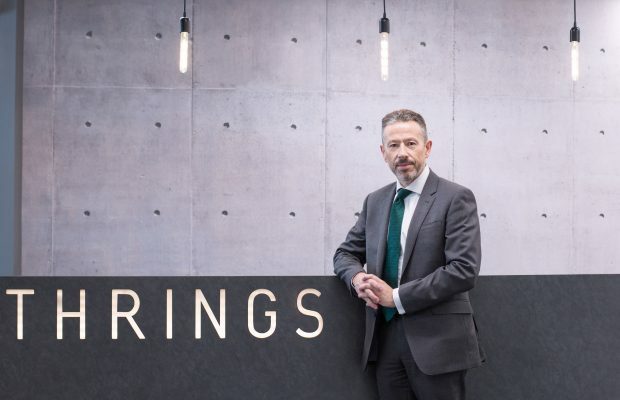 Michael said: “I am very pleased to be joining Thrings, and working with the construction and commercial property teams across the firm to develop the construction offering for existing clients and expand its client base. Michael becomes the third partner in the firm’s construction team, joining Steve McCombe and Natalia Sokolov. The news follows Thrings’ recent round of appointments earlier this year.